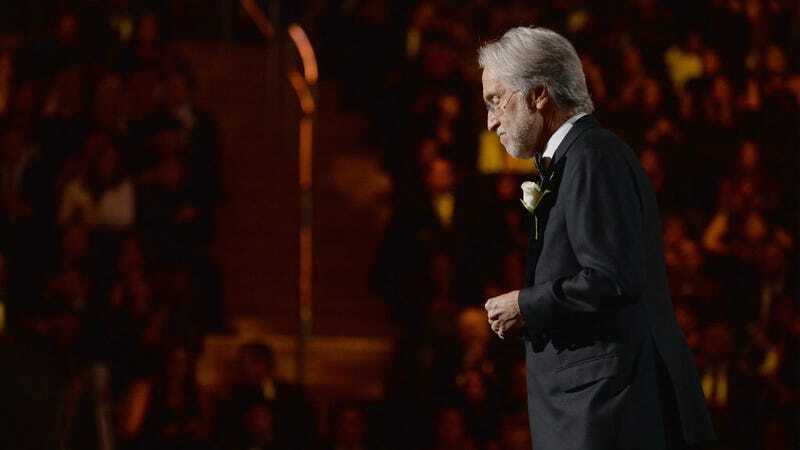 Even though it’s been nearly a week since Neil Portnow told a reporter that women need to “step up” at the Grammys, women in music are not letting the Recording Academy president forget his stupid comment. Artists have called him out, t-shirts were made, and the Academy went into full damage-control mode by setting up a vague task force to break down barriers for women. And now, powerful female music executives from several major labels have signed a letter further criticizing Portnow’s attitude. You can’t see my grin while writing this blog but I can assure you I am grinning. The New York Times has obtained the letter which was sent to the Recording Academy’s board of trustees on Monday. It was signed by Michele Anthony, executive vice president at the Universal Music Group; Jody Gerson, chief executive of Universal’s publishing arm; Julie Greenwald, co-chair of Atlantic Records; Sylvia Rhone, president of Epic Records; Julie Swidler, general counsel of Sony Music; and Desiree Perez, chief operating officer of Roc Nation. “Neil Portnow’s comments are not a reflection of being ‘inarticulate’ in a single interview,” the women write, referring to Portnow’s apology that he misspoke. “They are, unfortunately, emblematic of a much larger issue with the Naras organization as a whole on the broader set of inclusion issues across all demographics.” And it’s true that the outcry against Portnow isn’t just about his “step up” comment but larger problems regarding the Grammys, in which only one woman won a solo award during the televised ceremony and Lorde, only female nominee in the Album of the Year category, was reportedly denied her own performance. The newspaper points out that even though the letter is harsh, the women (who are writing on behalf of their organizations as well) don’t ask that Portnow resign like many similar efforts. What they’re asking for is a comprehensive review of the organization and to make it more inclusive. This new letter is reminiscent of another letter created last Thursday in which over a dozen music executives asked Portnow to resign. And I’ll remind you that there’s also a petition going around to get Portnow to step down, publicized by Vanessa Carlton. It has nearly 14,000 signatures.